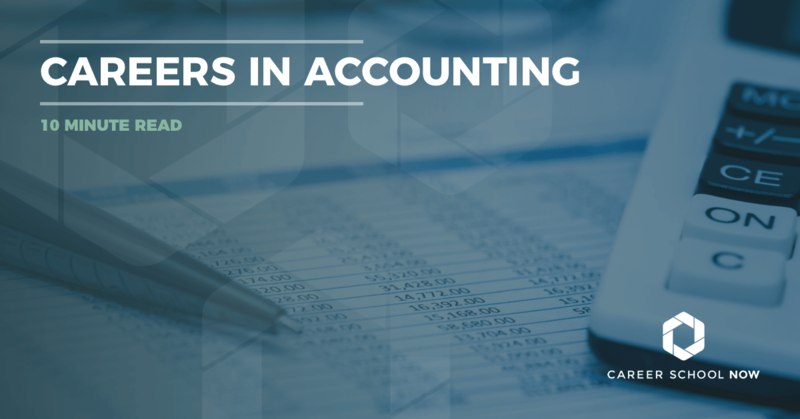 As an accounting professional, you’ll provide services to your clients, ranging from audits to taxes to consulting. You’re the backbone when it comes to finances of a business or an individual. Learn more about becoming an accountant, a CPA, or a bookkeeper. Find a local accounting school some have online courses. You’re an analyzer and organizer of numbers. Your clients come to you to make sure their finances are accurate, their taxes are prepared, and their personal or business accounts are legit. You try to prevent all types of monetary discrepancies throughout companies, and on personal levels, as well. You don’t necessarily need a degree to be an accountant, but most hiring managers prefer at least a bachelor’s degree. However, if you want to be a CPA, then you have to go through the proper schooling channels. Complete your bachelor’s degree in accounting from an accredited program. Consider an internship where you’ll get real-life experience. Once you graduate with your bachelor’s degree, get some more work experience. Network. Learn additional software programs. You don’t need a master’s degree to become a licensed CPA, but it’s one way to obtain the 150 credit hours needed. Becoming licensed is another way to get those 150 credit hours. Keep in mind, certifications and licensing are voluntary, but hiring manager are more apt to hire you if you have them. So, there’s that. As mentioned, certifications are optional. The available ones are Certified Management Accountant, the Certified Internal Auditor, and the Certified Information Systems Auditor. Each certification has its own experience requirements. You’ll need to decide whether you want to be an accountant or a CPA. Accountants are more limited in their duties than CPAs. CPAs and accountants may have taken a similar education path and have the same passion for numbers, but their job duties are slightly different. With three to five years invested in the career, the midrange salary for an accountant is $69K. But salary is heavily dependent on location, industry, and years of experience, so your paycheck may be much more, or much less. The employment outlook for accountants and CPAs is ten percent, which is slightly above average. Between accountants and auditor positions, there will be around 140K openings through 2026. CPAs should have better job prospects than any other type of accountant. Never mind that accountants and CPAs don’t consider you to be an accounting professional. Because, guess what? You are. You work to make sure ledgers are balanced, and companies are sailing along smoothly. Duties given to you are similar to those of accountants, so therefore you’re definitely considered an accounting professional in the eyes of your employer. Find an internship or a job that will train you. Study the various accounting software available, and practice all the different functions. Consider getting an associate degree or a diploma in bookkeeping. After two years of working as a bookkeeper, you can get certified through the American Institute of Professional Bookkeepers. Get licensed through the National Association of Certified Public Bookkeepers. Twenty-four hours of continuing education per year is needed to keep the certification current once you have it. Think about going back to school for a bachelor’s degree or even a master’s degree to become an accountant or CPA. When you are working as a bookkeeper, you’ll be taking care of a company’s financial records and accounts. Your duties make you a major asset to the company you’re employed with. Accounts payable and receivable - You’ll monitor purchase orders and match them with invoices upon receipt. You have to get approval for payments and make sure all the bills are paid on time. Payroll - You take care of the payroll, collecting time sheets and entering them into the system. You will also process the payroll checks or send them to a payroll processing service. Banking - Preparing bank deposits and handling company spending are all part of your day’s work. You will also organize and analyze the monthly bank statements, do wire transfers when necessary, and determine spending limits. Taxes - Often, tax returns are also prepared by the bookkeeper. But that really depends on the size and nature of the company you work for. You’ll be filling out a ton of forms regarding compensation, pension or retirement, financial budgeting, and more. Clerical duties are also handled by you, from sorting the mail to organizing files with customer and vendor information. You can expect your salary to fall along the median annual wage, which is more than $39K. The top 10 percent in your profession make $60K, while those who are just starting out will earn $24K. Most bookkeepers are full time, and some can do their duties from home. There will be times, particularly around tax season, when you’ll be working more than 40 hours per week. Employment growth is expected to be stagnant through 2026. This is due to the fact that many bookkeeping tasks are now automated through computer apps and cloud computing. However, despite this fact, there are still many companies who want their financials taken care of by a living person, meaning there will be jobs available. Find an online accounting program. Deciding to take online college courses makes a lot of sense, especially if you have a lot going on in your life with work or family. Online school is not only convenient but also more affordable than attending in-person classes at a college campus. There are many online accounting programs available, but just make sure whichever one you choose is accredited by the Association to Advance Collegiate Schools of Business, otherwise you may not be eligible to become a certified public accountant, if that’s your goal.